These three values of Probyn Export are what have guided us through uncertainty and adversity. It's how the company built its reputation as a fair-minded business partner for worldwide markets and associates. And after 40 years, it is how we continue to do business today and plan for tomorrow. Probyn Export brings the majesty of Canadian softwood to countries around the world. We also carry a number of wood products that have been manufactured in Canada and elsewhere and are sold internationally. To do both these things, our team needs to earn the trust of our trading and sales partners. We do this by going the extra mile and showing that we become a full partner in their business. 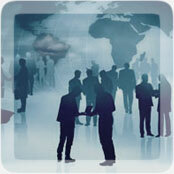 The Probyn Export sales representative that you will communicate with values your business. As they talk with you more they will better understand the challenges that you face every day. That's why Probyn Export thinks in a long-term way when doing business with your company: we want to see you succeed so both of our firms can continue to do business for many years to come. Trust is a quality that needs to be earned by showing it. When you choose to do business with Probyn Export, we will show you how we built that trust with other global partners. Let us impress you with the way we do business. Contact Probyn Export today for a lumber quote and let's talk about how we can bring you high value for your customers.